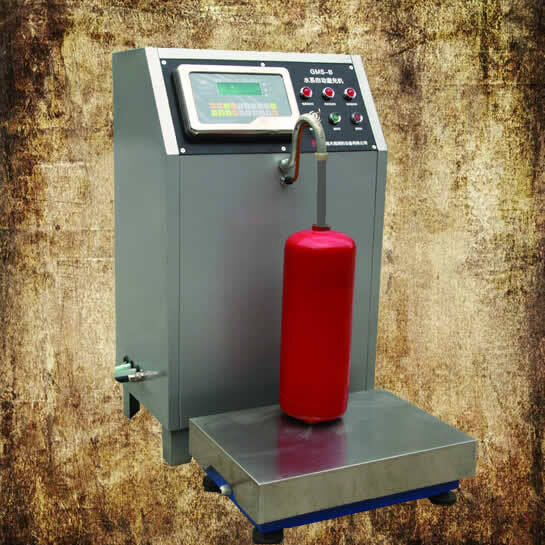 This is a automatic AFFF foam extinguisher refilling machine, developed from GMS-B which is a manual controlled type. This machine uses high pressure pump as it’s driving power, latest components for metering and a dedicated integrated circuit for weighing instrument, that made such machine has advantage of high filling speed, accurate metering, automatically close when at a set weight, simple operation and light weight etc. It can be used to fill all kings of portable AFFF foam extinguisher.